'Buffalo'. 15" x 12" acrylic on AF paper. 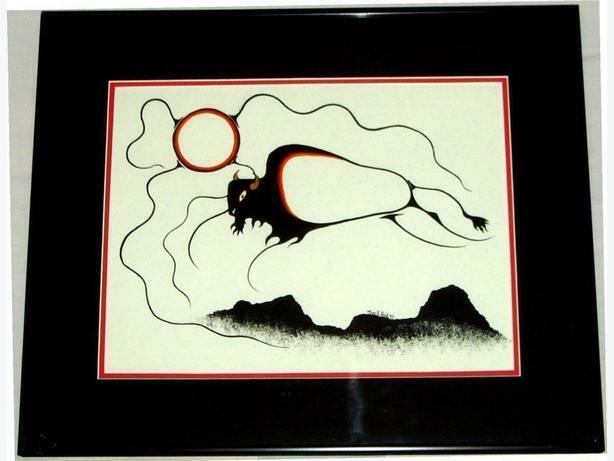 Original work by late First Nations painter Tuck Reid. Set in metal frame with double matt.